Here is where my family’s notebooking journey began! 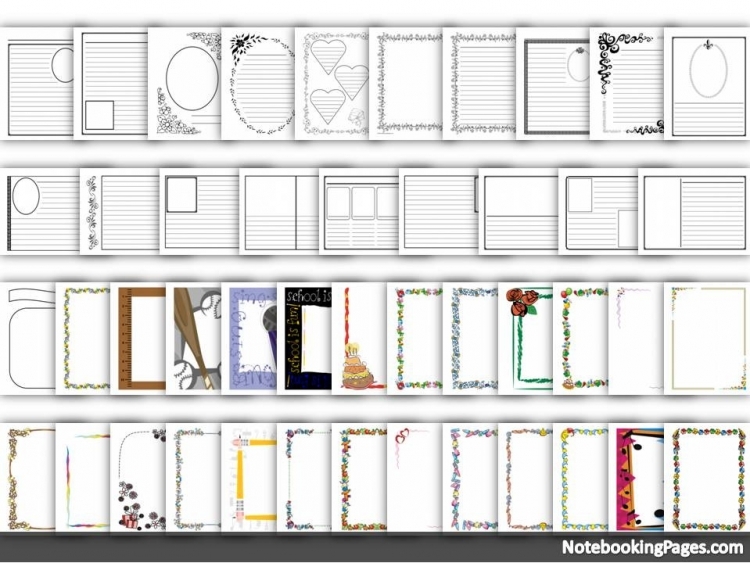 When first introduced to notebooking, I needed a variety of notebooking templates so that I could work with all of my children at the same time. Although our children do have some similar personality traits, when it comes to notebooking, there are not two that are alike. 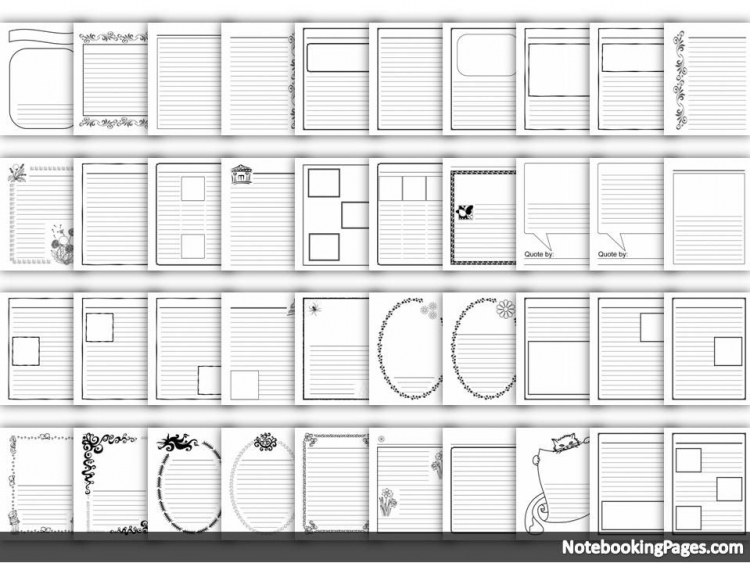 So the very first set I put together was our Basic Lined Notebooking Pages. It was during a very trying time of our family, when in basic “survival mode”, that the Lord led me to developing this “basic set” of notebooking pages. Originally it was just for my own kids, but ultimately it was the beginning of this website. The original “Basic Lined Notebooking Pages” (formerly known as our Basic PLUS Notebooking Set) is still the most used notebooking set in our home. 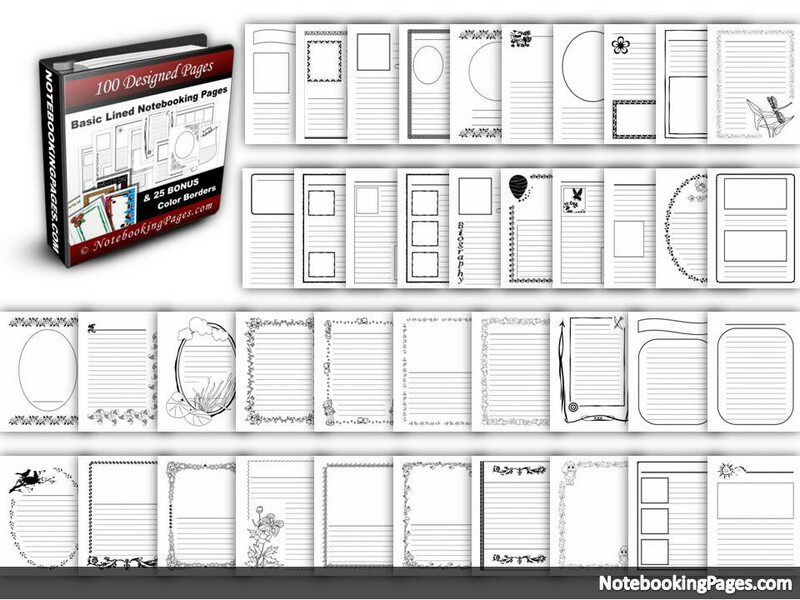 This e-book contains 200 pages of primary and regular-lined notebooking pages. 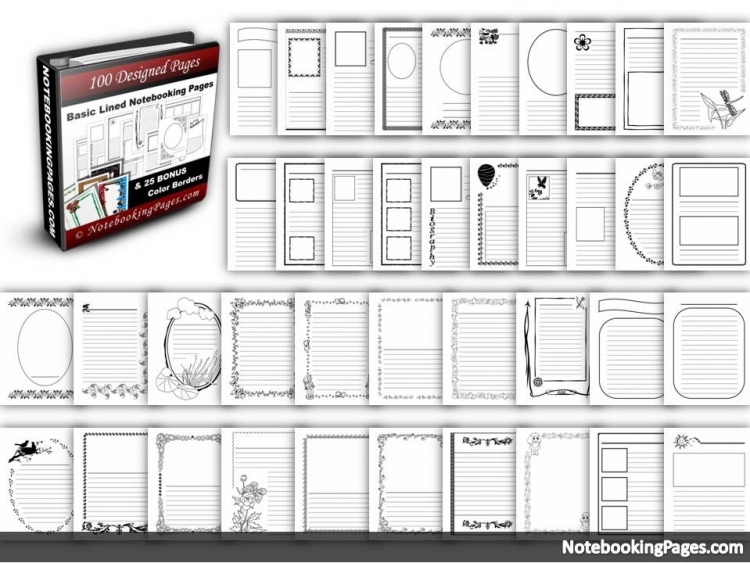 There are 100 different layouts available in each type of lined format. They are great for any variety of subjects or studies. This notebooking set also includes 25 bonus color border pages. 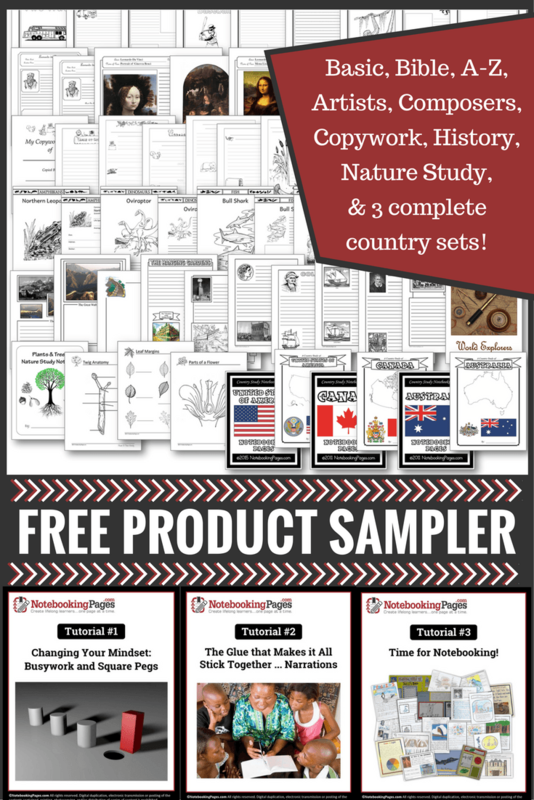 Use these pages for copywork, narrations, writing assignments, reports, science labs, journaling, and more! Use them with a variety of subjects and interests . . . Bible, history, science, literature, map studies, hobbies and more! Click to view more slides and/or enlarge. Step-by-step tutorials, tips, & 600+ page sampler.